The Supreme Court and gay marriage: I wish my gay father had lived to see this day. 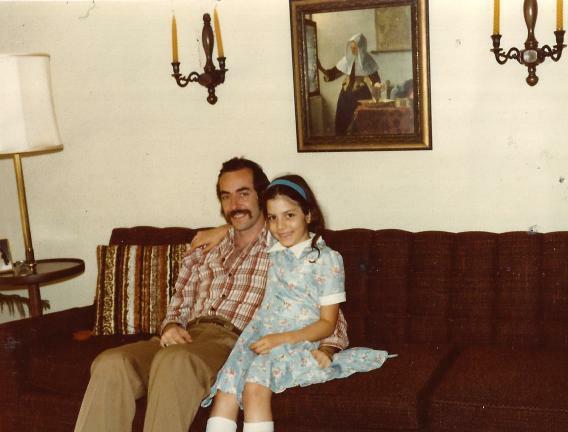 I was raised by a single, gay father in the 1970s. I wish he had lived to see the Supreme Court’s decision. In 1975, my father concluded an essay on gay fatherhood with these lines. I was 4 years old, and he was raising me alone in San Francisco. He’d described himself as bisexual when he first met my mother in 1968. They married a year later, as self-styled revolutionaries, believing they could redefine family and gender relations. Then in 1973, my mother was killed in a car accident, and the next year my father moved us to San Francisco, where he could live openly as a gay man and raise me as a single father. 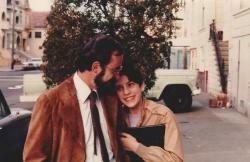 It was difficult to be a gay dad in the 1970s, even in San Francisco. The city was full of young men exploring the concept of sexual liberation, but few of these men were raising kids. And the culture at large was hostile to the idea of gays even mixing with children: In 1977, Anita Bryant successfully rolled back gay rights bills in several states with a campaign to “Save Our Children”; in 1978, California state Sen. John Briggs tried to pass Proposition 6, an initiative that, if passed, would have removed all gay and lesbian school employees, and their supporters, from their jobs. I’m told my extended family wanted to take over raising me after my mother died, but my father told them that if they even tried to take me away, they’d never see me again. He lived in fear then. And he even coached me to hide news of his boyfriends whenever I visited my grandparents in the Midwest. Gays were so closely aligned with the terrifying disease of AIDS that they were regularly targeted in random acts of violence and vandalism throughout San Francisco in the ’80s. I remember riding the bus home from school and seeing “Kill Fags!” spray-painted on a billboard. Another day I saw graffiti scrawled on the back of a bus seat: “Gays—get help NOT AIDS.” I didn’t want my social identity, so tentative and fragile as a teenager, associated with stigma, so I pushed myself deep into the closet. I was scared. By the time the HIV test was introduced in 1985, close to half of the gay men in San Francisco were already infected. My father was one of them, but neither he nor I were talking about it. In 1991, my father told me he was diagnosed with full-blown AIDS and asked me to graduate college early and move home. I didn’t feel ready. I was 20 years old, finally making good friends and good grades. I’d secured myself a coveted internship at a record label in New York and an apartment share in the East Village. I then worried that taking on the task of caring for my dad indefinitely would swallow up my burgeoning future. But my father had no long-term lover, no close family member who could step forward. That responsibility was mine alone. And, as he later reminded me, he didn’t feel ready to care for me alone after the death of my mother, but he did it. This is how family works. I spent the last year of my father’s life nursing him in that same Haight-Ashbury apartment where he raised me before finally moving him into hospice. It was a difficult time, but one I feel fortunate to have known. I enjoyed bringing my father special meals he couldn’t get at the hospice—chocolate ice cream cones from a shop around the corner, miso soup and safe sushi (no raw fish) from our favorite Japanese restaurant. We ate these meals in his too-warm room, often sitting together in silence, with only the sound of his supping or the spoon scraping the bottom of our Styrofoam bowls. My father used to tell me he liked visiting with me above anyone else because other people needed to be entertained. “I don’t always have energy to be cheered up,” he’d explain. I held his hand when he died in December 1992. There were times in my life when I longed for the “normal” family that I saw on TV and in the parking lots of my private school. I blamed the awkwardness and loneliness I sometimes felt as a child on my mother’s accident, foolishly believing my father’s overwhelming grief had “turned” him gay. When I was little, I even told him that he should date women so I could get back that mother who was lost to me. But had my father done this, he’d not have been happy. And his success as a father, I now realize, was due to his ability to be happy, to love openly, and to parent in concert with, instead of in opposition to, his values and ideals. I see this same spirit in the gay couples who want to start families today. Unlike the majority of gay parents in my father’s generation, who produced children from straight marriages before coming out themselves, gay men and women who want to become parents in 2013 go to tremendous lengths to do so. They foster children, wait years for expensive adoptions, or navigate complicated surrogate relationships in order to know the pleasure of being someone’s mom or dad. I envy their kids. They get to have their gay families, now recognized as legitimate before the law, and keep them, too. Read more from Slate’s coverage of gay marriage.